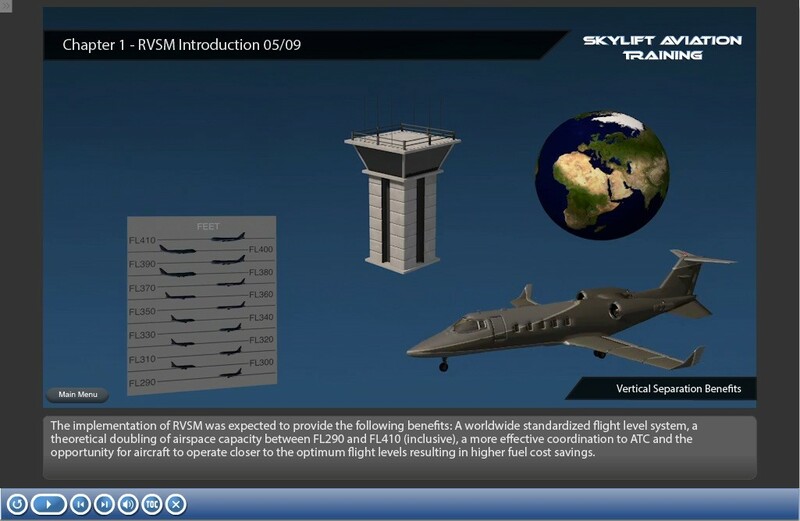 RVSM Aviation Training - skylift-aviations Webseite! 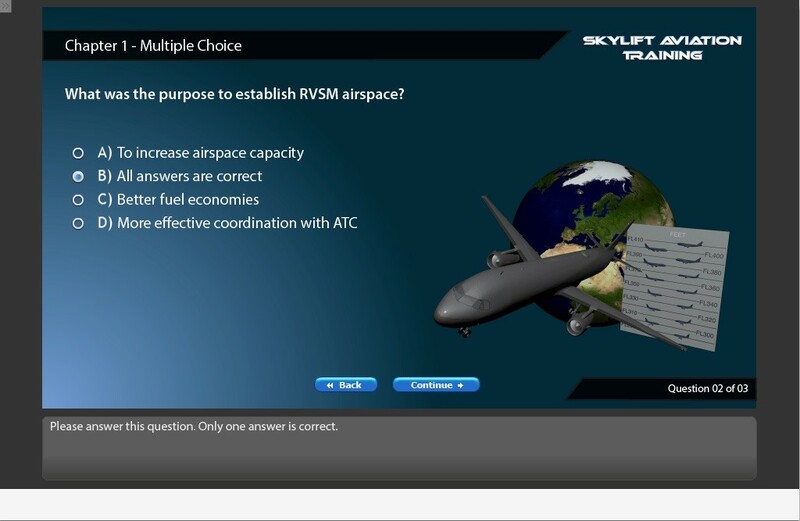 RVSM is currently required in almost every part of the world. 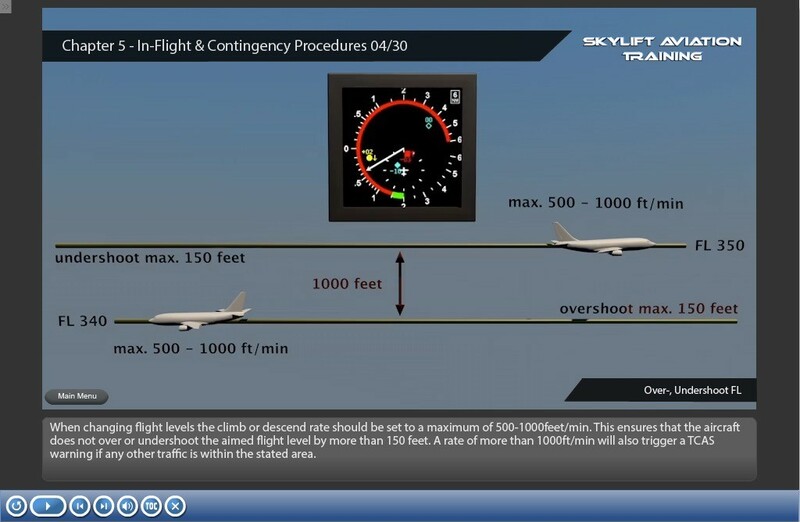 The additional FL’s enable to fly more efficient profiles and provides the potential for enhanced airspace capacity. 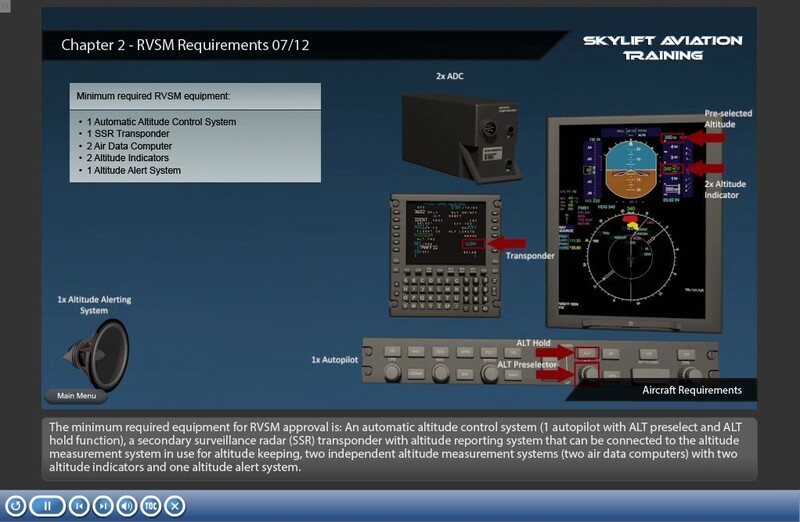 RVSM operators must receive authorization from the appropriate civil aviation authority. 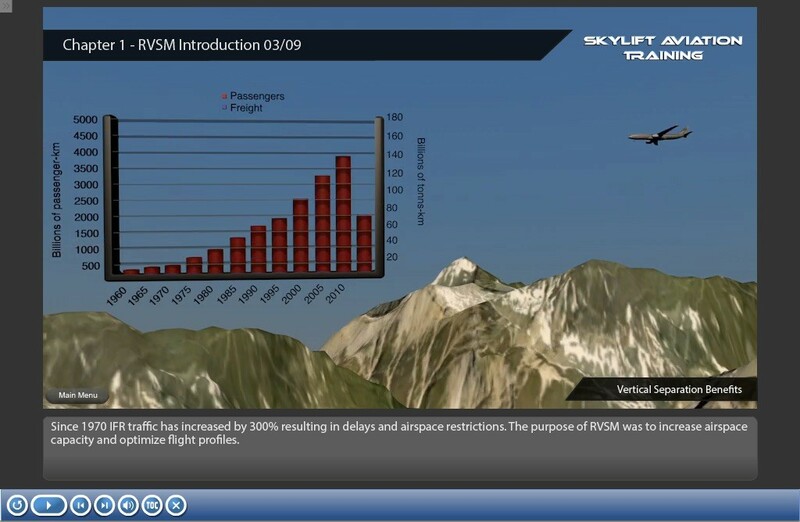 RVSM aircraft must meet aircraft equipment requirements and altitude-keeping performance standards. 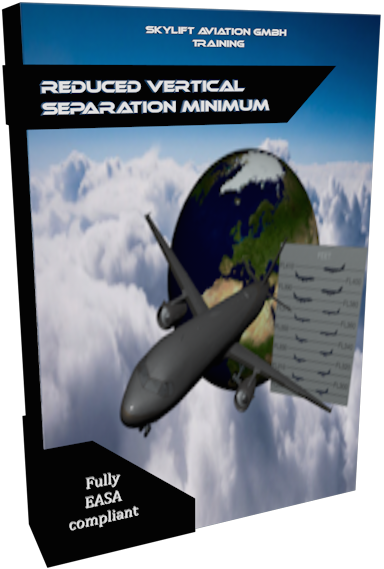 Operators must operate in accordance with RVSM policies/procedures applicable to the airspace where they are flying. This course can be used for both initial-, and recurrent training. 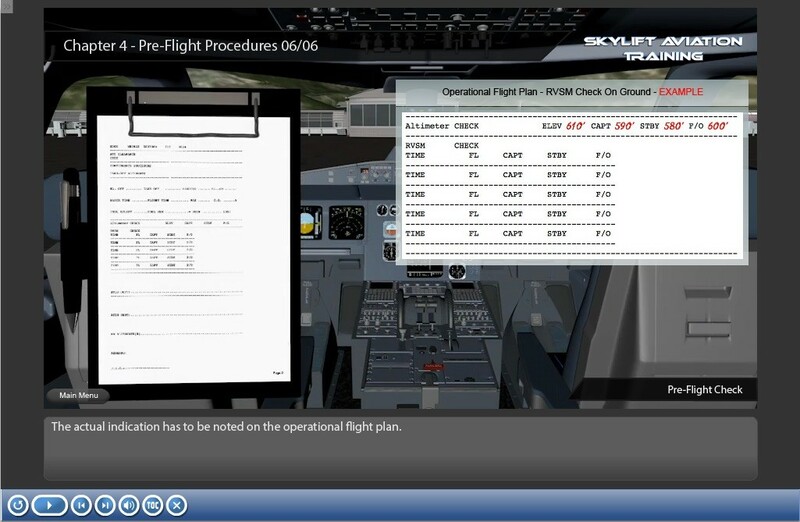 is adapting highfidelity 3D simulation to web-based training and other forms of interactive multimedia learning. 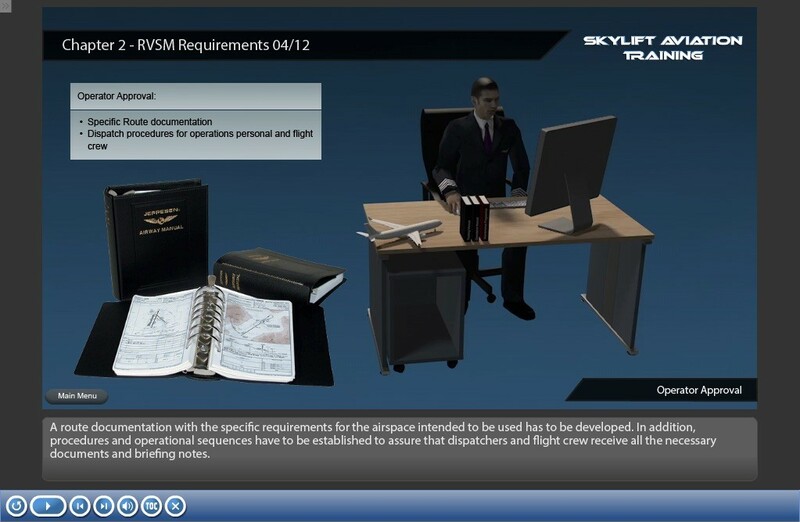 Skylift offers continuously new EASA compliant aviation trainings to the industry. 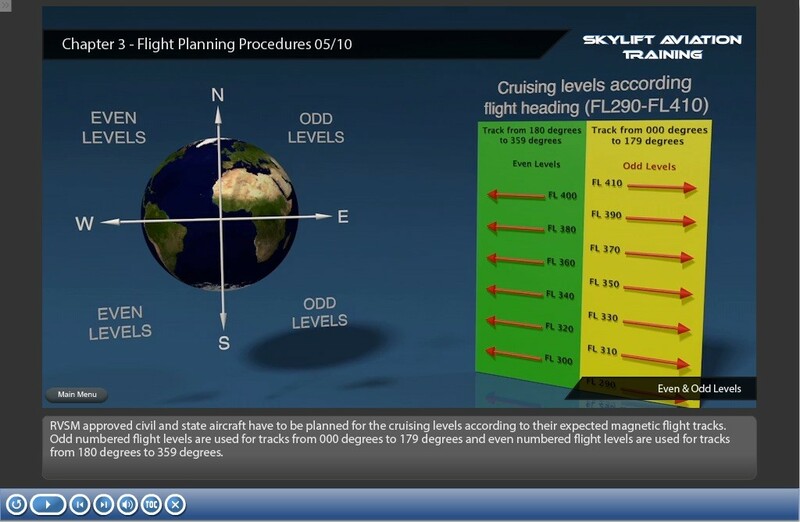 Skylift e-learning programs are available anytime, anywhere and reduce training costs.